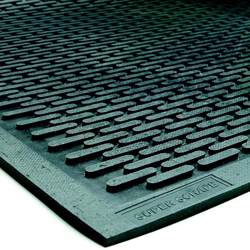 SuperScrape's tiny ovals remove dirt, increase traction, and protect your floors. 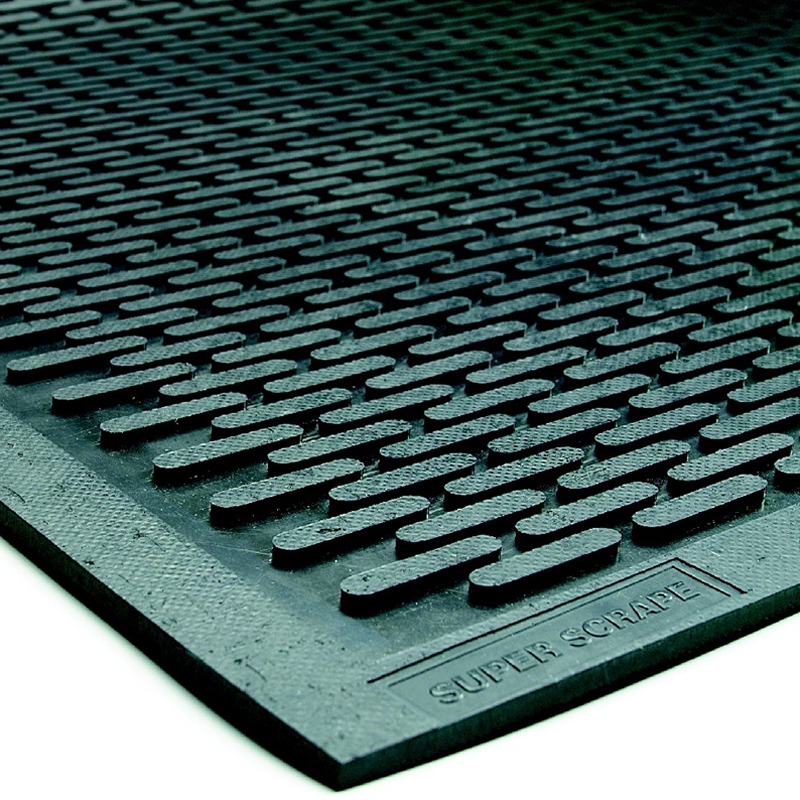 • Made of 100% Nitrile rubber for oil and chemical resistance. 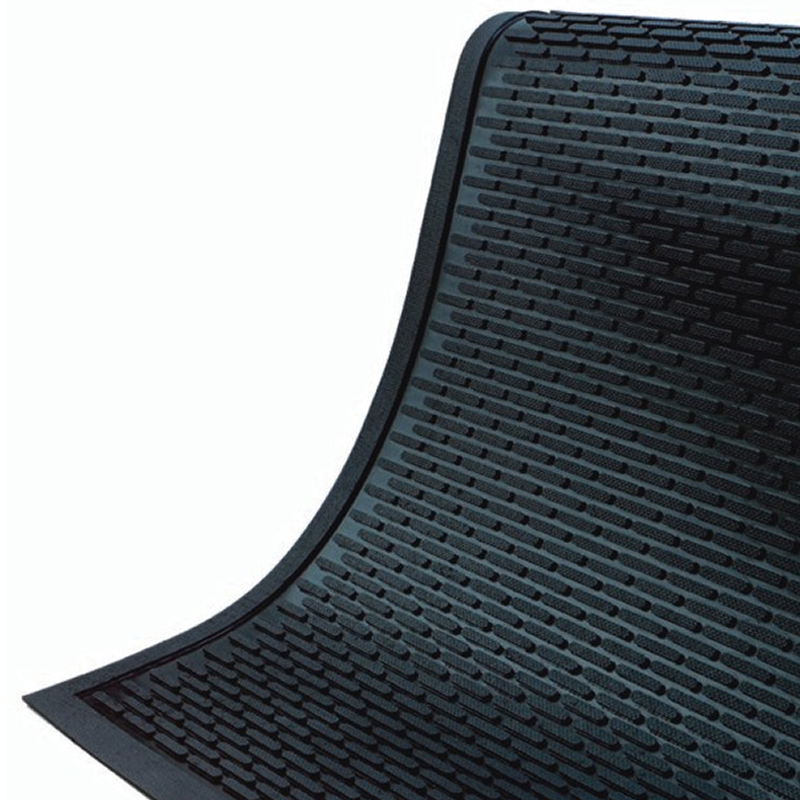 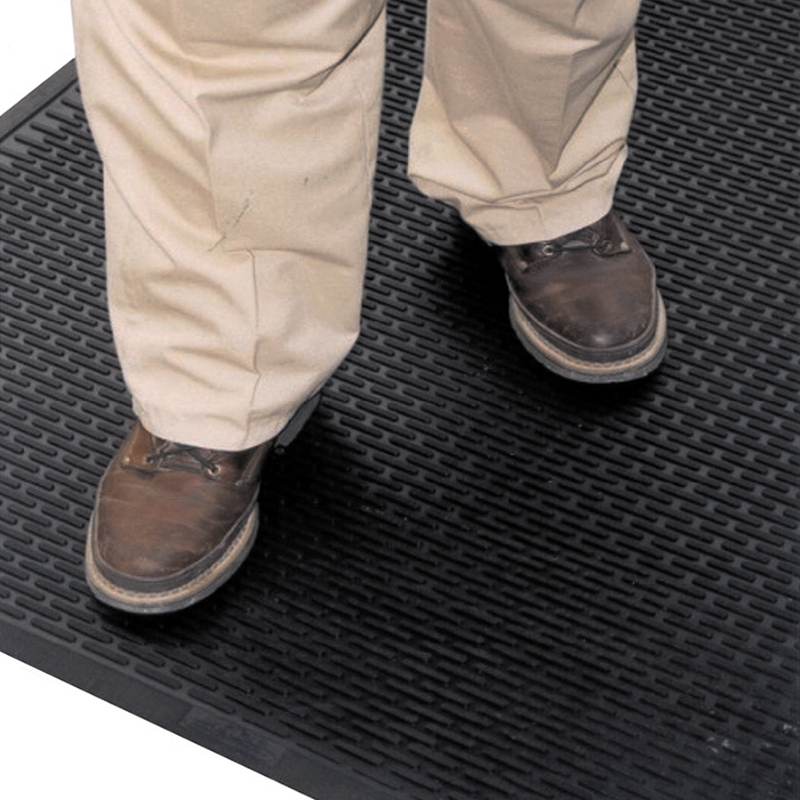 • Ideal for use as a scraper or slip-resistant mat for wet areas. 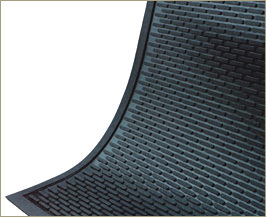 • ¼” thick, low-profile edge eliminates the need for ramped borders. 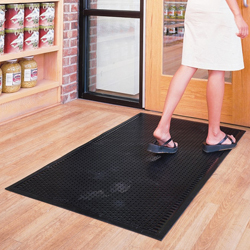 • Great for locker rooms, kitchens, restaurants, or outdoors.